In an order entered yesterday, the Illinois Supreme Court appointed Diana L. Embil to a 15th Subcircuit vacancy created by the retirement of Judge George F. Scully, Jr. (Scully, a former State Representative, was appointed to the bench in 2009 and elected in 2010). Embil's appointment is effective Thursday, October 13; it will terminate on December 2, 2018. This will be Embil's second tour of duty on the Circuit Court bench. She was first appointed to a 15th Subcircuit vacancy in early 2013, but lost her bid to hold that seat by a very narrow margin in the 2014 Primary. Licensed in Illinois since 1988, Embil has served as a law clerk to the late Appellate Court Justice R. Eugene Pincham and to Supreme Court Justice Charles Freeman. Currently, according to her LinkedIn page (from which this photograph is taken), Embil was serving on the Character & Fitness Committee of Board of Bar Admissions of Illinois Supreme Court. She previously served as an Associate Regional Counsel with the U.S. Environmental Protection Agency and as a member of the Minimum Continuing Legal Education of the Illinois Supreme Court. She has also worked for Jones, Ware & Grenard and as a staff attorney with the Chicago Public Schools. The October 27 fundraiser for Judge Robin D. Shoffner has been canceled, according to email received. A number of readers commented that a judicial candidate can not raise funds for the 2018 Primary until some time closer to the 2018 Primary (see, Supreme Court Rule 67(B)(2)). I didn't know that... but, then, I'm neither an election lawyer nor a candidate. Of course, as my ever-vigilant readers know, judicial candidates can not solicit campaign funds themselves; this is to be left in the hands of "committees of responsible persons." The committees should educate themselves on the distinctions between fundraising for campaigns generally and fundraising for judicial campaigns... but it is evident here that plans were advanced before committee members were properly educated. This no doubt embarrasses the candidate, but it should not necessarily reflect badly on the candidate herself. I am not privy to the specifics in this case, certainly, but I have discussed the philosophy of fundraising generally over the years with a number of judicial candidates. Some candidates want to be completely insulated from any knowledge of how campaign funds are generated, or from whom. Others insist on being intimately involved, the thought being that the candidate can help identify any inappropriate, improper, or questionable donors or donations. Still another group tries to stake out a middle ground, relying on their committees to spot problem donors or donations, and bring questions about these to the candidate, but otherwise trying to stay largely above the fray. In all of these cases, candidates have told me they are trying to ensure, to the extent possible, that their independence can not be called into question. The one lesson I think we can draw from this unfortunate situation is that campaign committees need to have direct access to a candidate's election lawyer. There aren't many, but there are some, all on the northern edge of Cook County, one in the northwest suburban 13th Subcircuit, and four in the north suburban 12th Subcircuit. In all other case where vacancies are being filled, with one possible exception which I'll come to in a moment (hey, we're lawyers, there's almost always at least a possible exception), the outcomes were determined in the primary: No Republicans ran for any countywide vacancy. No Republicans ran for any subcircuit vacancies either, except these in 12 and 13. OK, so I promised a possible exception. In contested elections, voters will see both names on the ballot for each contested race. In this case, however, 1st Subcircuit voters will only see Ms. Crawford's name; they would have to write in Judge Ahmad in order for that vote to count. And for those who might not have been looking at this race previously, Ms. Crawford's unanimous 'not recommended' ratings do not stem from any alleged impersonation of a judge this past summer; rather, they relate to her non-participation in the Alliance screening process prior to the March Primary. The Alliance of Bar Associations for Judicial Screening is comprised of the Asian American Bar Association of the Greater Chicago Area (AABA), Black Women Lawyers Association of Greater Chicago (BWLA), Chicago Council of Lawyers (CCL), Cook County Bar Association (CCBA), Decalogue Society of Lawyers (DSL), Hellenic Bar Association (HBA), Hispanic Lawyers Association of Illinois (HLAI), Illinois State Bar Association (ISBA), Lesbian and Gay Bar Association of Chicago (LAGBAC), Puerto Rican Bar Association of Illinois (PRBA), and Women’s Bar Association of Illinois (WBAI) working collaboratively to improve the process of screening judicial candidates in Cook County, Illinois. Wednesday's announcement about the appointment of Kent A. Delgado to a 6th Subcircuit vacancy triggered a good question -- and exposed a few omissions by yours truly. According to multiple sources, Delgado's appointment is at the recommendation of Justice Anne M. Burke. The appointment is to a vacancy created by the very recent retirement of Judge Gloria Chevere. No screening committee had been empaneled with respect to this vacancy, at least publicly (in contrast, for example, to the screening committee announced just this week by Justice Burke for a 13th Subcircuit vacancy). In January, Justice Burke announced a 6th Subcircuit vacancy (stand down, kids, applications for this one closed in February), and this vacancy remains unfilled. Thus, the good question: Why would Justice Burke fill the later-opening vacancy immediately, when she had a screening committee in place to fill an earlier vacancy in the same subcircuit? I don't know the answer to that question, but if I can get an answer I can report I will do so. In any event, I missed Justice Burke's announcement when it came out. Well, it was the height of the primary season---a busy time on the blog -- and I always have to keep up with my day job. My malpractice insurer gets very concerned if I let my practice drift too long. And I'm reasonably certain that neither courts nor clients would find the need to update this blog as a good and sufficient excuse for missing deadlines. So, yes, I miss stuff. As it turns out, that wasn't the only announcement I missed. In February Justice Mary Jane Theis announced both a countywide opening and a 13th Subcircuit vacancy. The countywide vacancy was subsequently filled by the appointment of Judge Claire J. Quish (I didn't miss that announcement) but I believe this 13th Subcircuit vacancy remains open. I think that about brings me up to date... we resume regular programming now. The Illinois Supreme Court today appointed Kent A. Delgado to a 6th Subcircuit vacancy created by the retirement of Judge Gloria Chevere. The appointment is effective January 4, 2017 and terminates on December 3, 2018. According to the ARDC, Delgado presently operates the Law Office of Kent A. Delgado. He has been licensed in Illinois since 1996. Delgado was a candidate for a 6th Subcircuit vacancy in 2012, withdrawing shortly before the primary that year. He was an Assistant State's Attorney from 1996 to 2007 and subsequently a principal in the firm of Delgado and Tiernan, PC, handling criminal defense, probate, and immigration matters. According to a press release issued yesterday, Justice Anne M. Burke has announced an application process for filling the 13th Subcircuit vacancy created by the July resignation of Judge Jeffrey Lawrence. Notice of the vacancy and details of the application process are posted on the Illinois Supreme Court's website at www.illinoiscourts.gov. 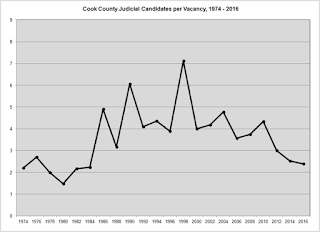 From there, follow the instructions on the "Latest News" scroller announcing the Thirteenth Judicial Subcircuit of Cook County vacancy. The deadline for applications is 4:00 p.m. on November 2, 2016. Completed applications should be submitted by mail to the Honorable Benjamin K. Miller, c/o Jenner & Block, 353 North Clark Street, 42nd Floor, Chicago, Illinois 60654. Yesterday's press release specifies that, to be eligible for consideration, an applicant for this vacancy must be a resident of the 13th Subcircuit (the far northwestern corner of the county). The Alliance Bar groups have issued ratings for each of the judges seeking retention, offering "yes" or "no" recommendations on each retention candidate. When I posted these grids initially, over the weekend, there were still several 'holes' in the grid; they are now almost entirely complete. Supporters of Judge Robin D. Shoffner are planning a fundraiser for their candidate on Thursday, October 27, from 5:30 to 7:30 p.m., at the Bureau Bar, 75 E. 16th Street. Cook County Board President Toni Preckwinkle and 3rd Ward Ald. and Committeeman Pat Dowell are listed as the hosts for the event. Tickets are $150 each, but sponsorships are available ($250 - $500 - $1,000). For more information about the event, or to reserve tickets, email info@craticshaffner.com. Judge Shoffner currently serves pursuant to Supreme Court appointment in an 8th Subcircuit vacancy. She was initially appointed to fill a 5th Subcircuit vacancy but was unable to hold that seat in the March Primary. 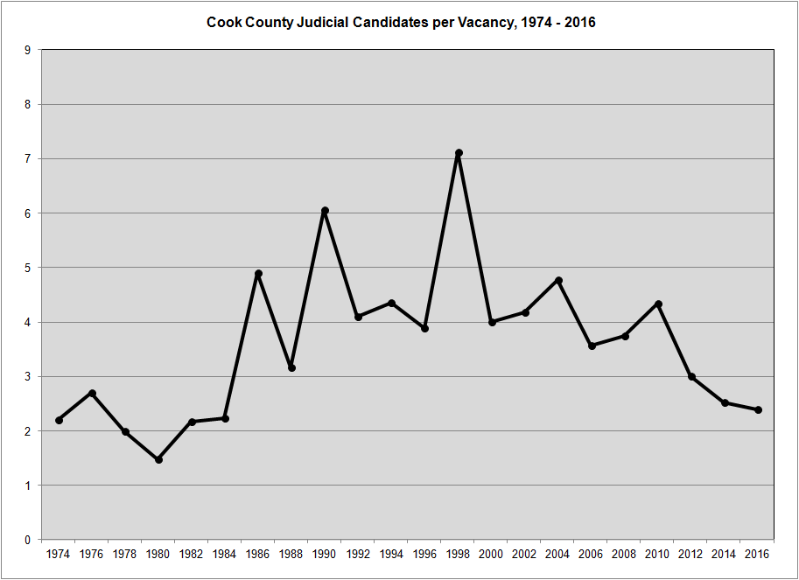 In a post yesterday, I mentioned that the Chicago Council of Lawyers had given its top rating of "Highly Qualified" to two judges seeking retention this November, Cook County Chief Judge Timothy C. Evans and Judge Mary L. Mikva. I also mentioned that the CCL had bestowed a "Well Qualified" rating on 11 other jurists seeking retention, but did not quote the CCL report with regard to these jurists (click here for the complete CCL report). Judge Joy V. Cunningham was elected to the Illinois Appellate Court in 2006. She was elected as an Associate Judge in 1997 and served for three years before leaving the bench. From 2000 to 2006 she was Senior Vice President, General Counsel, and Corporate Secretary at Northwestern Memorial Healthcare. She served as Associate General Counsel for Loyola University from 1986 to 1996. Her legal career also included private practice and she served as a judicial law clerk to Glen Johnson of the Illinois Appellate Court. She is a past president of the Chicago Bar Association. She was a guest lecturer at Loyola University School of Law in 2008 and 2009. She does a considerable amount of teaching which requires extensive preparation of written materials which she provides to others in the judiciary in the context of seminars, conferences or reference materials. She has won numerous awards from 2005 to 2011. Judge Cunningham was praised as a good practitioner and as a solid, hard-working jurist with good legal ability and temperament. As a trial judge she heard both civil and criminal law matters. As an Appellate Court Judge, she continues to be praised for her work ethic and temperament. She reportedly asks good questions during oral argument and writes well-reasoned opinions. The Council in 2006 found her Well Qualified for the Appellate Court, finds her Well Qualified for the Illinois Supreme Court, and finds her Well Qualified for retention. Judge Burns was elected to the bench in 1998. He was an Assistant Cook County State’s Attorney before taking the bench. As of May 2007, Judge Burns has presided over a felony trial call as well as the R.A.P. Drug Court since July 2010. Judge Burns has taught Graduate and Undergraduate classes at Lewis University on Justice, Law, and Public Safety studies, and has authored a number of published works, including as a Topic Writer with the Illinois Judicial Benchbook, as well as articles in the Illinois Bar Journal, the Duke University Journal of Law and Technology, and the Loyola University Chicago Law Journal. Judge Burns is praised widely for his excellent grasp and application of the law. He is reported to handle both his regular felony call and the R.A.P. call with efficiency and he is praised for his devotion to the lives and rehabilitation of the defendants who come before him. The success of the RAP program is said by many to be the result of Judge Burns’ initiative and dedication. He has numerous published works dealing with his judicial role and he is praised for his work ethic as well as his courtroom management. The Council finds him Well Qualified for retention. Judge Daleo was elected to the Circuit Court in 2004 and presently serves in the Fourth Municipal District of the Circuit Court. Previously, she served in the First Municipal District. She was admitted to practice in 1978. Prior to her election to the bench, Judge Daleo was an Executive Assistant State’s Attorney and formerly Chief of the Special Prosecutions Bureau, as well as an Assistant Cook County State’s Attorney. She also has experience as a general practitioner. Judge Daleo came to the bench after having extensive trial experience in complex matters. As a judge, she is widely praised for her legal knowledge and often supports her rulings with explanations. She is reported to be fair to all parties before her and that she applies the law correctly and evenly. She is reported to be especially hardworking and conscientious. She is reported to have an excellent temperament and is praised for her courtroom management skills. The Council finds her Well Qualified for retention. Judge Vincent Gaughan was appointed to the bench by the Illinois Supreme Court in 1991 and was elected in 1994. He presently serves in the Criminal Division of the Circuit Court. 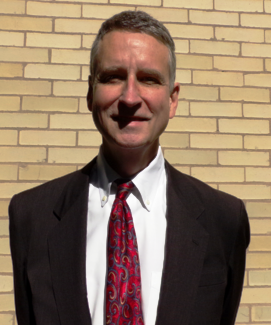 Prior to his appointment to the bench, Judge Gaughan was a supervising Assistant Cook County Public Defender. Judge Gaughn is widely praised for his legal ability and for being adept at handling some of the most complex cases in the criminal division. He is reported to have very good courtroom management skills. Many respondents say that he can be short tempered on the bench, but even those who complain about his temperament report that he is a very good trial judge. The Council finds him Well Qualified for retention. Judge Griffin was elected to the bench in 2010. He was in private practice before becoming a judge. He currently presides over a commercial calendar in the Law Division and also serves as Supervising Judge for the Commercial Section of the Law Division. Judge Griffin is widely praised for his legal ability and for being exceptionally hard working. He completes his cases but is reported to be very good at listening to all the parties. He has received equally high praise in a variety of assignments . He possesses a very good temperament. The Council finds him Well Qualified for retention. State’s Attorney before becoming a judge. He has served in the Criminal Division and is now sitting in the Law Division. Judge Kirby is a lecturer at DePaul University in Trial Advocacy I as well as a substitute lecturer in other courses. He also lectures high school and college classes that observe court procedures in the Daley Center. Judge Kull was appointed to the bench by the Illinois Supreme Court in 2009 and was elected in 2010. Before becoming a judge he served as an Assistant Cook County Public Defender and was in private practice doing criminal defense work. He is assigned to the Fourth Municipal District hearing felony cases. Judge Kull is widely praised for his knowledge of the law and for his courtroom management skills. He is described as being courteous and professional, although he presides over a heavy court call. He is praised for being well-prepared and he is reported to issue well-reasoned decisions in a timely fashion. The Council finds him Well Qualified for retention. Hon. Bertina Lampkin was admitted to practice in 1974 and was elected to the Circuit Court in 1992. As a lawyer, she had extensive litigation experience in both complex trial and appellate court matters as an Assistant Cook County State’s Attorney. 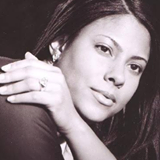 She also has experience trying civil cases as an attorney with the Chicago Department of Law. Justice Lampkin was appointed to the Illinois Appellate Court in 2009. As a trial judge, she heard criminal law matters at the Courthouse at 26th and California, and at that time was reported to be a very good, hardworking jurist who was praised for her writing skills. When the Council found her qualified for the Appellate Court in 2009, her written evaluation materials included approximately 100 opinions from cases she heard at 26th street, including findings on post-conviction petitions and motions to quash and suppress. She has served as the chair of the Supreme Court criminal pattern jury instructions committee. In that position, she was responsible for writing the new death penalty instructions and the instructions for specific specialized jury verdict required by the Apprendi case. She has taught in the area of death penalty litigation. As an Appellate Court judge, Justice Lampkin has demonstrated that she meets – and exceeds the higher standards that the Council uses in evaluating candidates for the Appellate Court. In the 2013 judicial evaluation, lawyers report that Justice Lampkin has exceptional command of substantive law, as well as procedural rules. She is praised for being hardworking and her written opinions are considered to be well-reasoned. She is an active participant in oral arguments and is reported to have good temperament. The Council finds Judge Lampkin Well Qualified for the Appellate Court and Well Qualified for retention to the Circuit Court. Judge Lyons was appointed to the bench in 2008 and was elected in 2010. He had served as an Assistant Cook County State’s Attorney. He is currently assigned to the Law Division where he presides over jury trials. Attorneys praise Judge Lyons’ legal ability and his temperament. They describe him as having a good grasp on even complex issues and he is said to treat all parties with respect. He shows patience on the bench but maintains control of the courtroom. Lawyers report that he reads all relevant materials and demonstrates the ability to communicate effectively with the jury. Lawyers often describe him as an excellent judge. The Council finds him Well Qualified for retention. Judge Mitchell was appointed to the bench by the Illinois Supreme Court in 2008 and was elected in 2010. He presides over an Individual Commercial Calendar for the Law Division. Judge Mitchell has co-authored a Traffic Court Bench Book. Judge Mitchell is considered to have very good legal ability. He is reported to be knowledgeable and to issue well reasoned opinions in a timely fashion. He has a professional demeanor, and is reported to be fair to all parties. He enjoys a reputation of being well prepared and holding lawyers to a high standard. The Council finds him Well Qualified for retention. Judge Pantle was elected to the bench in 1998. She is a former Cook County Public Defender. She has been assigned to the Juvenile Justice Division and the Felony Trial Division. In January 2007, she was reassigned to the Chancery Division, where she has remained since, presiding over equitable matters, contract actions, class actions, administrative review actions, property disputes, partnership disputes, and general commercial litigation. Judge Pantle coached the DePaul University College of Law Trial Team through spring 2012, and is the author of an article entitled “Defending Illinois Criminal Cases” in Arrest, Search, and Seizure. Judge Pantle is widely praised as a capable judge with very good legal ability. She is praised for well reasoned opinions issued in a timely fashion, for being well prepared, and for being knowledgeable. She is reported to be fair to all parties and has a professional demeanor. The Council finds her Well Qualified for retention. Judge Washington was appointed to the bench by the Illinois Supreme Court in 2002 and was elected to the bench in 2004. He is currently hearing jury trials in the Law Division. Prior to becoming a judge, he was a partner with two law firms doing complex regulatory litigation and government relations work. 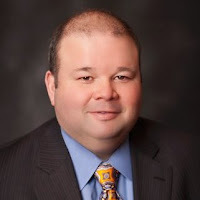 He has also served as a division chief with the Illinois Attorney General’s Office and as an administrative law judge with the Illinois Commerce Commission. He has also served as a senior attorney with MCI Telecommunications. He is currently hearing jury trials in the Law Division. Judge Washington has taught as Visiting Faculty at Harvard Law School since January of 2014. Judge Washington is respected as a well prepared jurist who is fair to all parties. He is considered to have very good legal ability. He is praised for his temperament and his diligence. He brought to the trial bench a variety of experiences in complex litigation matters and is considered to have excellent court management skills. The Council finds him Well Qualified for retention. Supporters of James E. Hanlon, Jr.'s bid for the "A" vacancy in the 12th Judicial Subcircuit are planning a fundraiser for their candidate on Wednesday, October 5, from 5:00 to 7:30 p.m., at Rocky Vander's, 698 N. Milwaukee Ave. in Prospect Heights. Tickets for the event are $75 each. Sponsorships are available (Friend - $150, Amicus - $250, Advocate - $500, or Co-Sponsor - $1,000). For more information about the event, or to confirm your attendance, email rsvphanlonforjudge@gmail.com. Three Circuit Court judges seeking retention this November have been found "Not Qualified" by the Chicago Council of Lawyers. These are Judges Bonita Coleman, Nicholas R. Ford, and Daniel Joseph Lynch. Judge Coleman was elected to the bench in 2010. She was in private practice before becoming a judge. She is currently assigned to the Domestic Relations Division in Markham. Judge Coleman is reported to be professional and courteous on the bench. 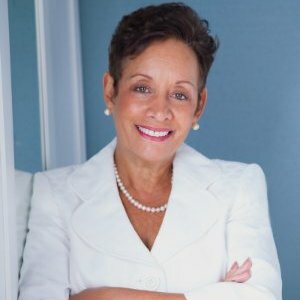 The Council is concerned that many lawyers question Judge Coleman’s knowledge of the law, although most respondents note that she does the necessary research to rule. There was a mixed response as to whether she is fair to both men and women who appear before her. Some believe she favors male parties, but others say she is fair and seeks a just outcome. The Council must balance the totality of the positive and negative comments we heard about Judge Coleman’s judicial performance. On balance, the Council finds her Not Qualified for retention. Judge Bonita Coleman is “Qualified” for retention as a Circuit Court Judge. Judge Coleman was admitted to practice law in Illinois in 1992 and was elected to the Circuit Court in 2010. Judge Coleman is assigned the Domestic Relations Division and presides over a high volume call involving many pro se litigants. Judge Coleman is thoughtful, patient, and thorough in explaining the judicial process to pro se litigants. Judge Coleman is well regarded for her legal knowledge, judicial experience, and excellent demeanor. Hon. Bonita Coleman was admitted to the Illinois Bar in 1992. She was in private practice concentrating in family law, criminal defense and probate before being elected to the Circuit Court of Cook County in 2010. She is currently assigned to the Domestic Relations Division in the Sixth District (Markham). Judge Coleman is praised for her temperament and patience with the many pro se litigants who appear before her. Some attorneys have expressed concerns that while she works hard, cases do not always proceed in a timely manner. In addition, attorneys’ opinions on the depth of her legal knowledge were not uniformly positive, although she is considered to be a hard worker who will always research a question of law and who thinks it is important to get things right. for retention as a judge of the Circuit Court of Cook County. In addition to the favorable rating from the ISBA, Judge Coleman also received favorable ratings from all of the other Alliance bar groups except the Chicago Council of Lawyers. Judge Ford was appointed to the bench in December 1997, and was elected in 1998. Since 2002, he has been assigned to the Criminal Division of the Circuit Court. Judge Ford was admitted to practice in 1988. He was an Assistant Cook County State’s Attorney throughout his career as an attorney. Judge Ford is considered to have good legal ability and he is regarded as hardworking. In 2010 his demeanor drew some criticism for impatience and inappropriate remarks, but respondents in the current evaluation praise his temperament as being both patient and in control of the courtroom. But two decisions handed down by the Illinois Appellate Court since 2010 raise serious concerns about Judge Ford’s ability to decide cases in an impartial manner. In People v. Jackson, the Appellate Court reversed and remanded a first degree murder conviction rendered by Judge Ford at a bench trial, holding he “abandoned [his] role as a neutral and impartial arbiter of fact by adopting a prosecutorial role when questioning [the] defendant’s expert witness and by relying on matters based on prior private knowledge” that were outside the record, thereby undermining the defendant’s right to a fair trial. And in People v. Pace, another first degree murder case, the Appellate Court vacated an aggregate 100 year sentence imposed by Judge Ford upon a 16-year-old defendant, finding that Ford considered and “placed significant emphasis” on impermissible factors during sentencing, including the defendant’s choice to remain silent during the sentencing hearing, Judge Ford’s personal views, and evidence not located in the record. “It is noteworthy,” continued the Appellate Court, “that the portion of the record in which [Judge Ford] announced [his] sentence goes on for 16 pages. At least four of those pages were devoted solely to [Judge Ford] discussing [his] personal feelings about gang violence; other large portions see the judge discussing the victims and stating that he was aligned with them.” In both Jackson and Pace, the Appellate Court remanded the matters to the Circuit Court with instructions to reassign the cases to a different judge. Judicial impartiality is a foundational component of our legal system. Deviation from this principle not only deprives litigants of due process, but also undermines public confidence in the courts. On balance, the Council finds Judge Ford Not Qualified for retention. The Chicago Bar Association and the Illinois State Bar Association reached a different conclusion. Judge Nicholas Ford is “Qualified” for retention as a Circuit Court Judge. Judge Ford was admitted to practice law in Illinois in 1988 and has served as a judge since 1998. Judge Ford is currently assigned to the Criminal Court and is well regarded for his knowledge of criminal law, judicial experience, and ability to effectively manage a high volume court. Hon. Nicholas R. Ford was admitted to the Illinois Bar in 1988. He was an assistant state’s attorney until 1998 when he was first appointed, then elected, to the Circuit Court of Cook County. He has been assigned to the Criminal Division since 2003 after first spending time in First Municipal. He has done some volunteer work. Judge Ford is considered to have excellent legal knowledge and ability. He runs a tight, but not unfair, courtroom. He has handled some high-profile cases, and is generally considered to have good demeanor and is a hard worker who is always prepared. Concerns have been raised over a couple of Appellate Court decisions which have criticized some questions and rulings as showing bias toward the State by taking into account the defendant choosing not to exercise his right of allocution, and for the tone and manner in which he asked questions of an expert witness for the defense. As with Judge Coleman, the negative rating from the Council was the only one received by Judge Ford for this election. All of the other Alliance bar groups recommended Judge Ford's retention. Judge Lynch was elected to the bench in 1998. He is presently assigned to the Law Division. He is a former Assistant Cook County State’s Attorney. Judge Lynch is widely respected for his knowledge of the law and procedure. He is considered to be well prepared and is reported to be adept at handling long, complex trials. Some respondents complained that he can, on occasion, be short tempered on the bench. Most say that he has a good temperament. The Council is concerned, however, that Judge Lynch on several occasions has reached beyond his immediate role as judge in a particular matter to engage in legal acts that seem to be outside his normal course of deciding a case before him. These matters include seeking or having sought to have the attorneys prosecuted for fraud or obstruction. In another matter, the judge unsuccessfully sought to have the Cook County State’s Attorney prosecute one of the parties before him. These unorthodox uses of judicial discretion, including criminal contempt charges, are troubling to the Council. On balance, the Council finds Judge Lynch to be Not Qualified for retention. Hon. Daniel Joseph Lynch was admitted to the Illinois Bar in 1988. He worked as an assistant state’s attorney until his election to the Circuit Court of Cook County in 1998. He was retained in 2004 and 2010. He is currently assigned to the Law Division, Jury Section. He is involved in community activities. Judge Lynch is generally considered to have excellent legal knowledge and even-keeled, although there were isolated reports of temperament issues. Since last being retained, Judge Lynch has been involved in several cases which have called into question his judicial judgment, including a case within the last year where the Illinois Supreme Court ordered his removal and reassignment of that case to another judge. For the 2016 General Election, the Illinois State Bar Association finds Hon. Daniel Joseph Lynch Not Qualified for retention as a judge of the Circuit Court of Cook County. Judge Daniel J. Lynch is “Qualified” for retention as a Circuit Court Judge. Judge Lynch was admitted to practice law in Illinois in 1988 and was elected to the Circuit Court in 1998. Judge Lynch is currently assigned to the Law Division’s Jury Section. Judge Lynch has presided over many complex cases, some of which have been the subject of media attention. Judge Lynch is diligent and well regarded for his knowledge of the law, judicial ability, and dedication to the justice system. All of the Alliance bar groups except the CCL and ISBA (and except for the Cook County Bar Association which has so far issued no rating) have recommended a "yes" vote on Judge Lynch's retention. The complete CBA "Green Guide," showing all of its ratings of judicial candidates on the November ballot, may be accessed by clicking here. The complete report of the Chicago Council of Lawyers may be found at this link, while the complete narrative reports prepared by the Illinois State Bar Association for Cook County judicial candidates can be found here. The Alliance Bar groups have issued ratings for each of the judges seeking retention, offering "yes" or "no" recommendations on each retention candidate. The grids that follow are mostly complete; when updated grids are issued, I'll post them. Both the Chicago Bar Association and the Chicago Council of Lawyers agree that Appellate Justice Joy V. Cunningham should be retained for another 10-year term on the Appellate Court. The CBA has also rated all 57 Circuit Court candidates still on the retention ballot as "Qualified" for new six-year terms. The CCL largely agrees, rating 54 of 57 retention candidates as "Qualified" or better. Although in contested judicial elections the CBA occasionally confers a "Highly Qualified" rating, in retention elections the CBA offers only binary ratings---"Qualified" or not "Recommended." The Council, on the other hand, distinguishes among retention candidates, conferring a "Well Qualified" rating on some and, occasionally, a "Highly Qualified" rating. The CCL finds Justice Cunningham "Well Qualified" for retention to the Appellate Court, for example (more on this, below). Judge Evans was elected to the bench in 1992. He is the Chief Judge of the Circuit Court of Cook County and has served as the Presiding Judge of the Domestic Relations Division. He was first elected to the position of Chief Judge in 2001. Before taking the bench, he was a sole practitioner. Judge Evans was also an assistant corporation counsel for the City of Chicago and had served as a floor leader for Mayor Harold Washington and as an Alderman for the 4th Ward. As Chief Judge, he does not hear cases, but sees to the administration of the courts. Chief Judge Evans created a domestic violence division for the Cook County Circuit Court, re-instituted a pre-trial services program and changed procedure so that bond hearings are conducted in person, rather than via teleconferencing. 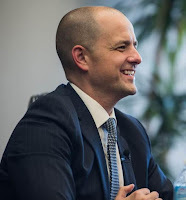 He is responsive to public concerns about the judiciary and works to institute diversion and deferral treatment programs in the criminal courts to reduce cost and waste and better serve the interests of the community. In 2009, he received the William H. Rehnquist Award for Judicial Excellence, presented by the National Center for State Courts. The award recognizes a state judge who “exemplifies the highest level of judicial excellence, integrity, fairness, and professional ethics.” He pushed for the establishment of the Domestic Violence Courthouse that opened in 2005. He is also credited for pushing forward the Court’s mortgage foreclosure program. He has been praised for increasing the diversity of the Presiding Judges among the numerous divisions of the Circuit Court. In 2013, he issued a general administrative order outlawing the practice of some preliminary hearing judges of denying a Public Defender to defendants without conducting an indigence hearing. He is currently promoting the development of a community court in the North Lawndale area of Chicago. Chief Judge Evans has his critics. Some respondents say he is too often slow to respond to the need for major systemic changes. But he has his strong supporters, as well, and the Council notes his many accomplishments. We know that the Circuit Court needs consistent, enlightened leadership, and the Court must collaborate with all of the major stakeholder governmental agencies to bring about necessary systemic reform. We encourage Chief Judge Evans to meet this challenge. The Council finds him Highly Qualified for retention. Judge Mary Mikva was elected to the Cook County Circuit Court in 2004. She was appointed to the Illinois Appellate Court in June 2016. She had been assigned to the Chancery Division and to the Child Protection Division. Judge Mikva was admitted to practice in 1980 and prior to her election, she was law clerk to Judge Prentice H. Marshall and later to U.S. Supreme Court Justice William J. Brennan, Jr. Judge Mikva also served as an appellate attorney for the City of Chicago Law Department, as well as in private practice. As a trial judge, Judge Mikva is widely praised for her legal ability and courtroom management skills. She has mentored new judges and is considered to be exceptionally knowledgeable. She is described as having good interaction with all parties in the courtroom, and she is reported to be scrupulously fair to all lawyers and litigants. She enjoys an excellent reputation for her diligence, punctuality, and for always being well prepared. The Council finds her Highly Qualified for retention. The complete CBA "Green Guide," explaining the CBA's ratings and its methodology, for both judges seeking retention and candidates seeking judicial vacancies, can be found online at this link. The Council's November 2016 candidate evaluation report, which also explains its methodology, is available online here.